On Thursday I went out into the field (Hurd State Park) to help some entomologists from another lab with their caterpillar collecting. They were also kind enough to lend me some supplies for my field experiments, which I am hoping to set up sometime this week once my caterpillars are large enough. 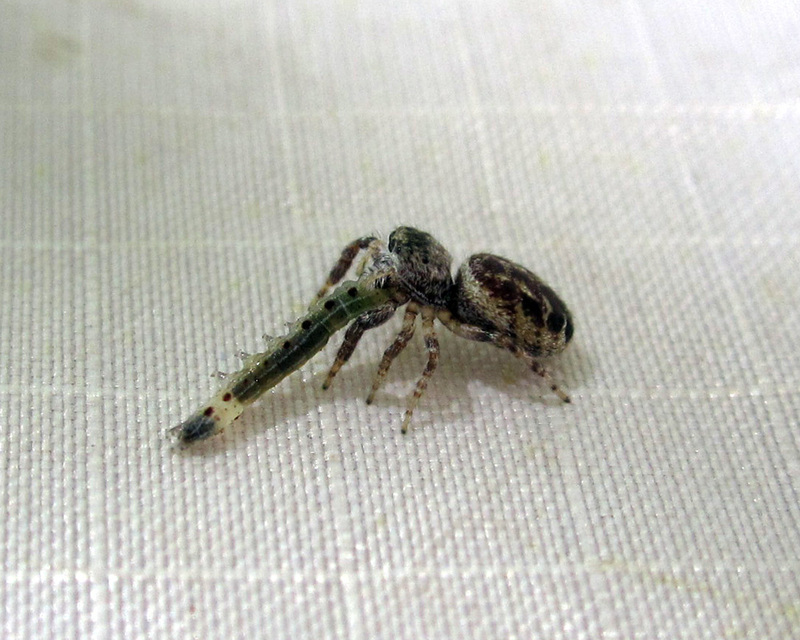 And another was in the jaws of a jumping spider. More stories/photos/videos are on their way! 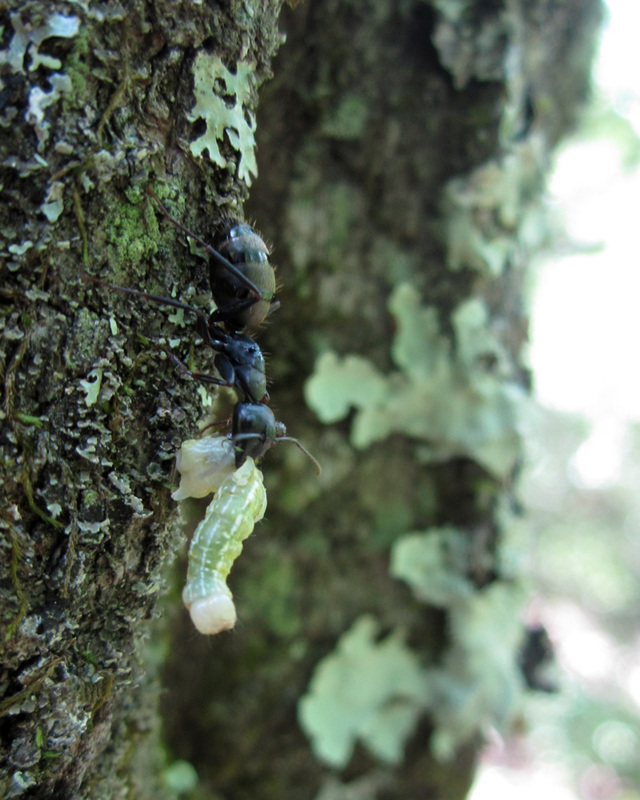 Posted on June 11, 2012, in Invertebrates, Lepidoptera. Bookmark the permalink. 1 Comment.